Esmod is the first fashion school in France, founded in 1841. Today it has 23 branches worldwide, including in Lebanon. 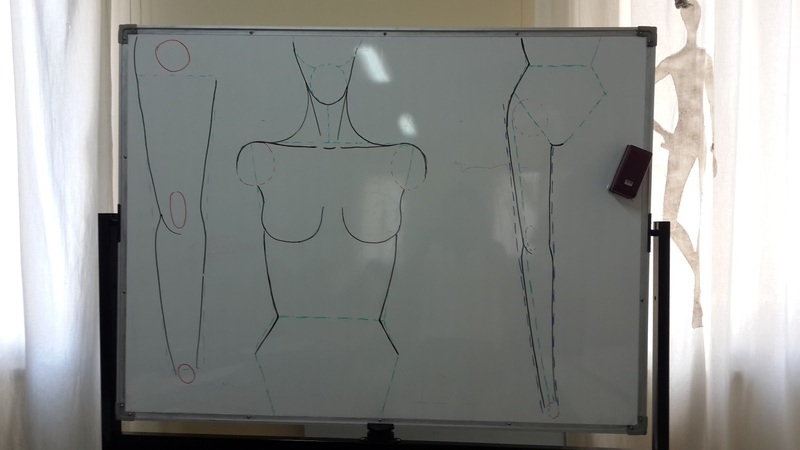 Esmod of France, only, has established a place in the top 5 fashion colleges all over the world. 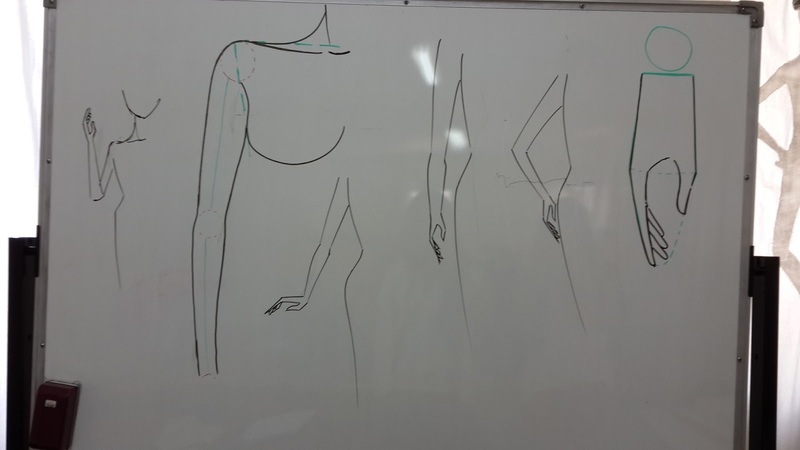 In view of this information and in light of my thirst to learn how to draw mannequins and bring my fashion design ideas pen to paper, I have decided for this month of July to attend the summer course of fashion illustration & design that Esmod has to offer here in Lebanon. 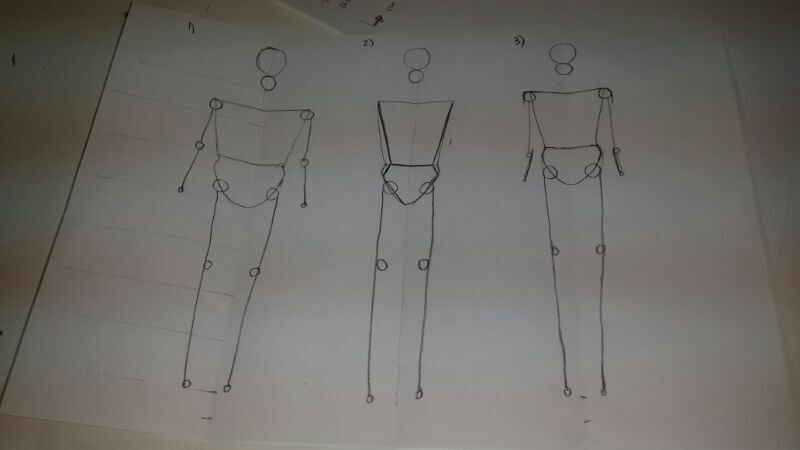 I have to mention besides Elie Saab’s fashion school that is launching in LAU this fall, Esmod is all there is of serious in fashion in Lebanon. 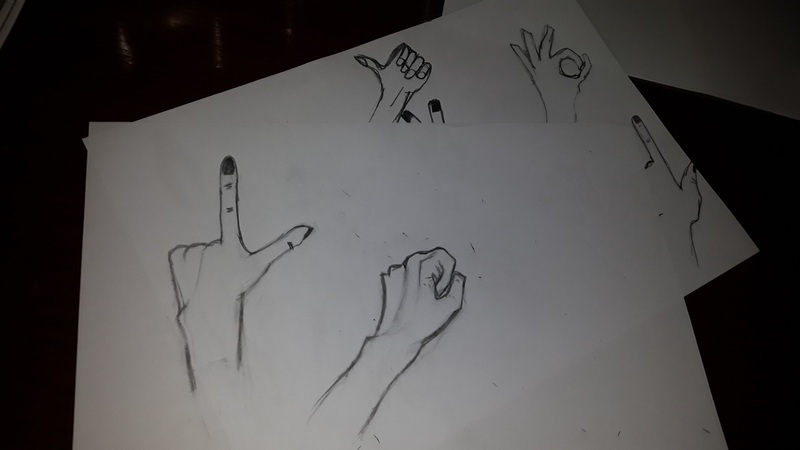 Before I tell you about my first two days, I want to clarify that my expectations are not too high, except for learning how to draw beautifully. First day, I came 5 minutes late. I sat on a table next to two young mothers. They looked familiar and that’s what they said too. We tried to guess where we could have seen one another, in vain. I really liked Cynthia, she’s a blonde beautiful woman in her late thirties (if I remember well) and has such a fresh and fun attitude. I would love to be around her. Regarding age groups, I am assuming there are 4 mothers, 4 still at school, and 3 undergraduates/graduates (including me). We’re 11 and the teacher is a guy, he speaks in French and sometimes translates to English. 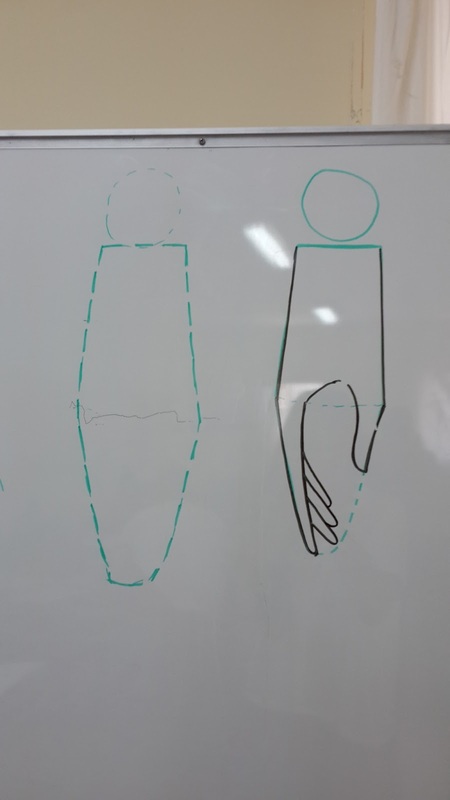 We learnt how to draw the base of a figurine, the sway position, and we discussed about how to read a magazine. 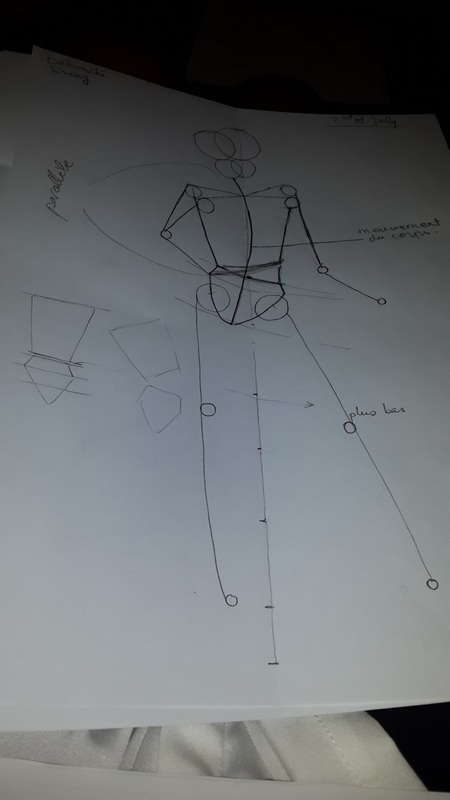 How to draw the base of a model + notes ! 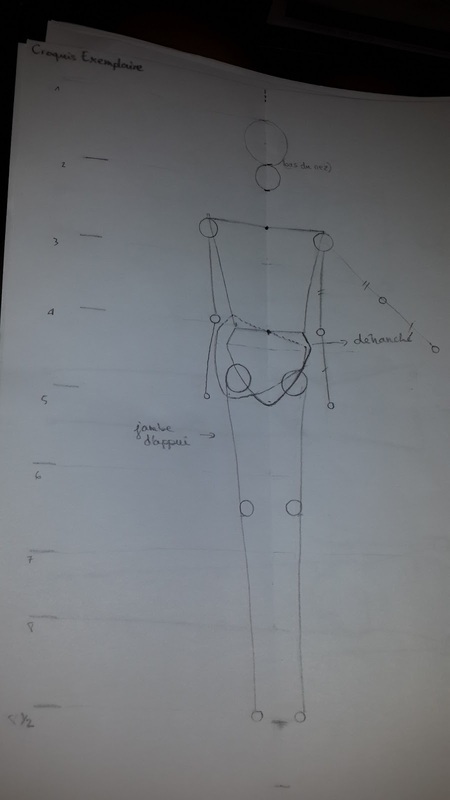 Anatomy of a model and effect of a sway movement! Second day or today, we changed rooms because they are having restoration work in one part of the building. I sat next to the one whose age equals that of my brother and the other whose equals that of my sister. We had great laughs. 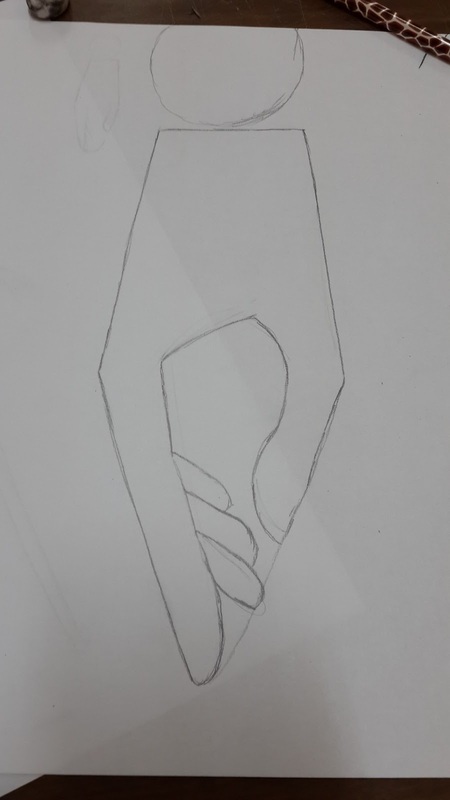 We continued to work on the swayed position of a figurine, put flesh on the figurine, and started to learn drawing the hands and the fingers. 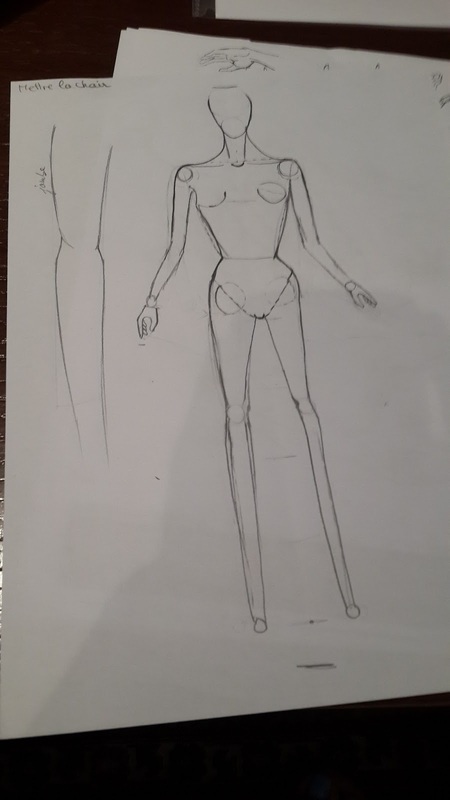 I cannot wait to learn to do the feet and toes and put clothes on the naked models! 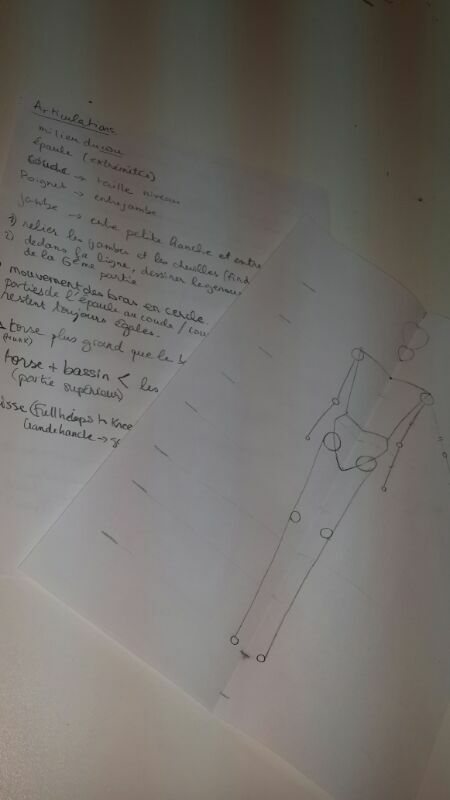 Examplary drawing by Fabienne. 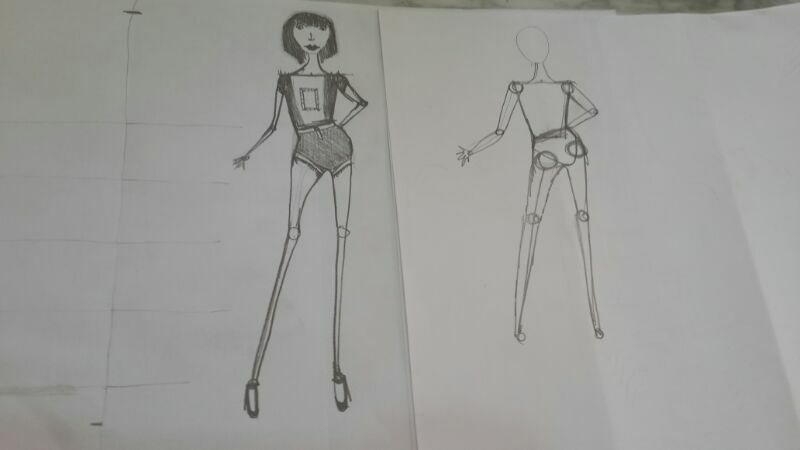 Other drawings on paper are all mine. Overall, thoughts and impressions about the course are still to be made. I hope to find out that I have a lot to learn from this. I will keep you updated!